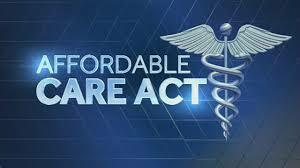 Ginger’s Soapbox: The Affordable Health Care Act – Killing Spiders! Good post. The ACA is working pretty well from a number of measures and reputable sources. It is imperfect and complex, but part of this is due to the complexity of insurance. It could use a few improvements, but should not be repealed. Those include expanding Medicaid in the remaining twenty states, increasing the hours threshold to 32 or more, simplifying the small employer coverage and looking at the veracity of certain fees. Please note these are the opinions of a retired actuary, benefits consultant and benefits manager and a true independent voter.